And the No. 8 seed in the East Region goes to … AP No. 25 Wisconsin? 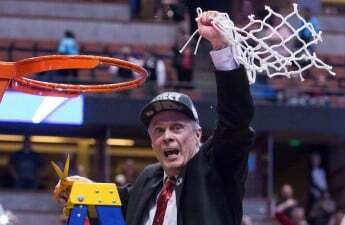 To the surprise of both college basketball analysts and Grateful Red alike, the NCAA Men’s Division I Basketball Committee handed the University of Wisconsin men’s basketball team a No. 8 seed in the upcoming NCAA Tournament. The Badgers fell 71-56 to a red-hot Michigan Wolverines team in the Big Ten Tournament Championship less than an hour before the committee revealed the official 2017 NCAA March Madness Bracket last Sunday. Little did they know, Wisconsin was in for a rude awakening. The first team announced were the defending national champion Villanova Wildcats (31-3), who were crowned the No. 1 overall seed in the tournament and favorites to emerge from the East Region. 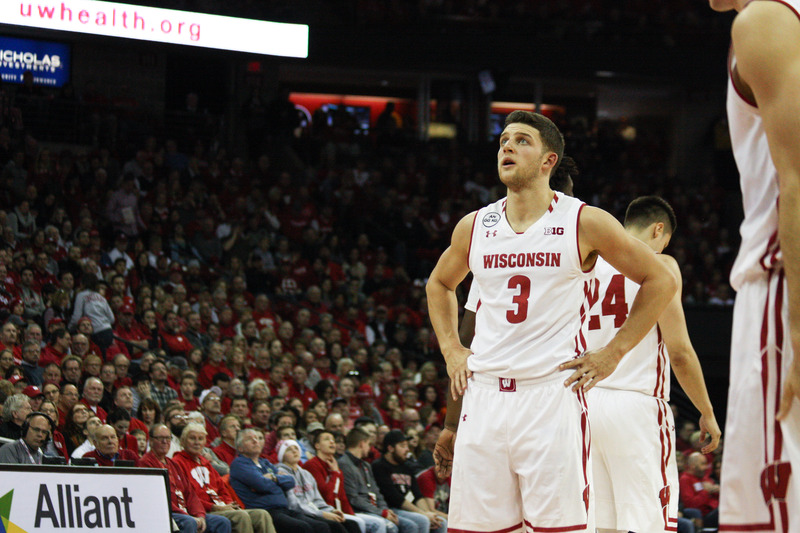 Only moments later, the Badgers learned if they were going to make a fourth consecutive Sweet 16 appearance, they would almost certainly have to go through the best team in the land to do it. 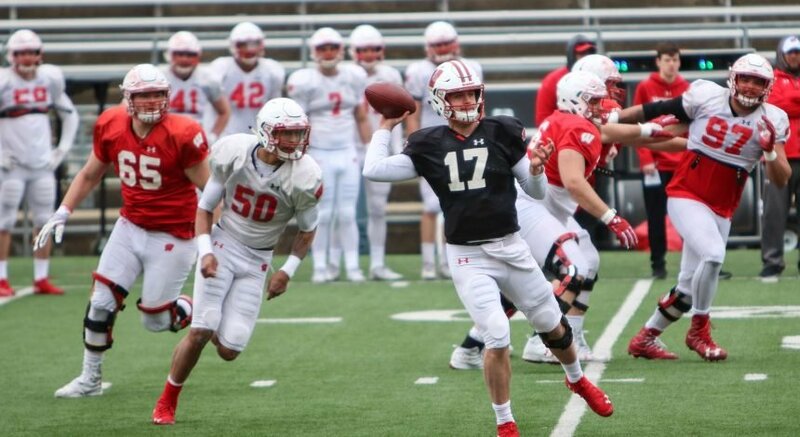 Take a look at the difference between reactions by Northwestern University and Wisconsin as each team witnessed the live reveal of their respective No. 8 seed berths. No. 8 seed Northwestern, per ESPN’s Michele. No. 8 seed Wisconsin, per Wisconsin Athletics. Something doesn’t look right here. Wait a minute, what could there possibly be to complain about as a basketball program who has now made the March Madness tournament 19 seasons in a row? Look at Northwestern, the Wildcats were over the moon and ready to go dancing when they heard their names called as an No. 8 seed to put NU in the tournament for the first time in school history. Don’t get me wrong, Northwestern getting invited to The Big Dance is an exciting thing, especially because the Wildcats are undoubtedly a tournament-caliber team. Yet, how does that Northwestern team — from the same conference and with more losses than UW — whose last appearance before the upcoming tournament ended in a 28-point loss to Wisconsin receive the same number seed as the Badgers in a region with a No. 1 seed Gonzaga that opened with 80/1 odds (vs. Villanova at 8/1) of winning the title? ESPN’s college basketball analyst Joe Lunardi — the man accredited as the creator of “Bracketology” itself — began releasing 68-team seeding bracket predictions to the public on a weekly basis beginning in November 2016. As the season progressed and traveled deeper into conference play, these predictions became biweekly and then triweekly before Lunardi cranked it up to an average of one updated prediction per day in the week leading up to Selection Sunday. Overall, Lunardi compiled 31 full-bracket predictions between November 3, 2016 and March 12’s Selection Sunday. Of those 31 68-team predictions, Bracketology’s founding father never had Wisconsin lower than a No. 6 seed — not once. Lunardi even released his final two updated predictions on Selection Sunday only hours before the committee’s official verdict, both of which featured Wisconsin as a No. 6 seed. Wisconsin finished No. 25 in the AP Poll, No. 21 in ESPN’s 2016-17 Basketball Power Index and 22nd in strength of schedule. The three No. 8 seeds not named Wisconsin (Miami, Northwestern and Arkansas) combined for a grand total of two votes received in the AP Poll. The BPI’s final pretournament evaluations didn’t help the committee’s case for a No. 8 seed Wisconsin either. Miami was in the ball park with the Badgers at No. 28, but the Wildcats (No. 46) and the Razorbacks (No. 47) raise some questions. Former Badgers star forward and 2015 Naismith Player of the Year, Frank Kaminksy, voiced his discontent with the committee’s decision via Twitter. Peering just one numeral ahead, the four No. 7 seeds in the tournament collectively averaged an approximate No. 27 standing per BPI evaluation. Once again, the Badgers are a hard No. 21 in this poll. Excluding the No. 16 seeds’ infamous 0-124 historical record against the No. 1’s, every seed has proven it can make a run in March Madness, but make no mistake, seeding matters. There is more than a 10 percent difference between the overall tournament winning percentages between the No. 8 and No. 6 seeds. The Big Ten had a down year in men’s college basketball, there’s no other way around it, but surely that weak-conference factor would affect all of its teams the same, right? Not according to the committee. The Badgers finished second in the Big Ten regular season standings, second in the Big Ten Tournament, but somehow tied for the second-lowest seed among all Big Ten teams in the NCAA Tournament. Bleacher Report’s NFL associate editor, Ian Kenyon, weighed in on his confusion with the committee’s take on the Big Ten topography as well. Minnesota (24-9, 11-7 Big Ten) and Maryland (24-9, 12-6) are going to the dance as No. 5 and 6 seeds respectively. Wisconsin not only went a combined 3-0 against these teams on the season, but closed the season with a much stronger statement. Despite the 2017 Big Ten Tournament being held at the “neutral site” Verizon Center located less than 10 miles from Maryland’s home court, Northwestern — soon-to-be 28-point road kill for the Badgers the next day — bounced the No. 3 seed Terps from the quarterfinal round. The eventual 2017 conference tournament champion Michigan Wolverines punched a ticket back to Minneapolis for the Golden Gophers in the semifinals, which was still one round shy of Wisconsin’s run to the championship game. Last year’s Wisconsin team finished 20-12 (sixth in the Big Ten regular season) with a first-round exit from the 2016 Big Ten Tournament as an encore performance. Their 2016 bracket result: A No. 7 seed. If all of these perspectives still can’t point the finger, perhaps the committee simply erred on the side of caution due to UW’s recent postseason résumé, defined by early exits from the tournament? Nope, keep searching. Wisconsin is the only team in this year’s tournament to make the Sweet 16 in each of the previous three seasons, and the Badgers have been to the Sweet 16 five of the past six seasons. The 2013-17 senior class has been a part of two Final Fours, two Elite Eights and three Sweet 16 appearances in total. The Badgers also boast four starting seniors on this year’s roster who head into the tournament with 113 career wins under their belt. Nigel Hayes, Bronson Koenig, Zak Showalter and Vitto Brown are only two wins shy of sharing the title of winningest class in Wisconsin men’s basketball history, and three short of sole possession. Plain and simple, it was a bad draw. There’s nothing more to it. The Badgers got snubbed with a No. 8 seed, but fortunately for UW, Sunday’s curveball was the only part left in the committee’s hands. 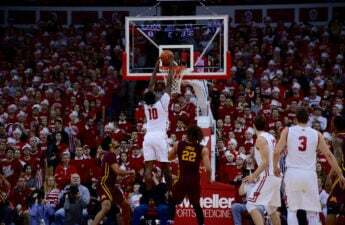 The only thing Wisconsin can do now is focus on who’s up next, and that’s strong No. 9 seed Virginia Tech, coming out of the toughest conference in all of college basketball this year (ACC). The beautiful thing about the NCAA men’s (and women’s) basketball tournament is come Thursday and Friday, every team is the same six wins away from cutting down the nets. “Expecting a No. 6 and getting a No. 7 isn’t that big of a deal, but Wisconsin getting a No. 8 was flabbergasting.” – Bleacher Report‘s College Basketball National Analyst, Kerry Miller. “Tell me how on earth Wisconsin gets dropped this much further from Minnesota – which it swept. I knew the Big Ten was going to be hard to parse, but this is utterly baffling.” – CBS Sports Writer, Matt Norlander. “Yet somehow, Minnesota got a No. 5 seed despite Wisconsin sweeping the season series. Good luck figuring that out.” – For The Win writer, Steven Ruiz.